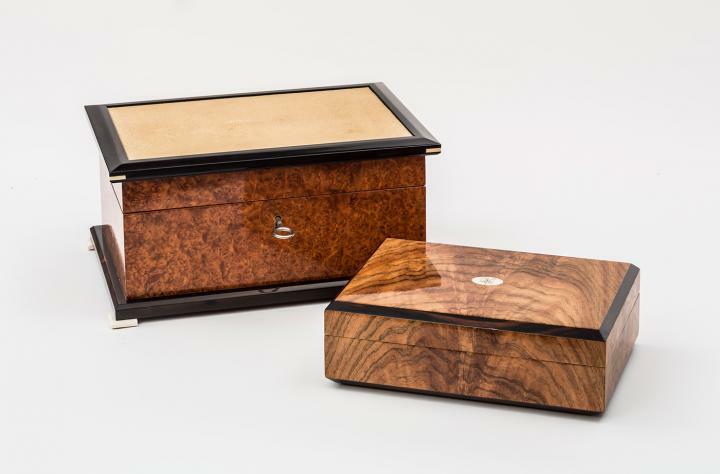 Custom furniture :: Full Scale Woodworking, Inc.
Amboyna burl, ebony, with shagreen top (left Image). Cerejeira and ebony with ivory inlay (right image). 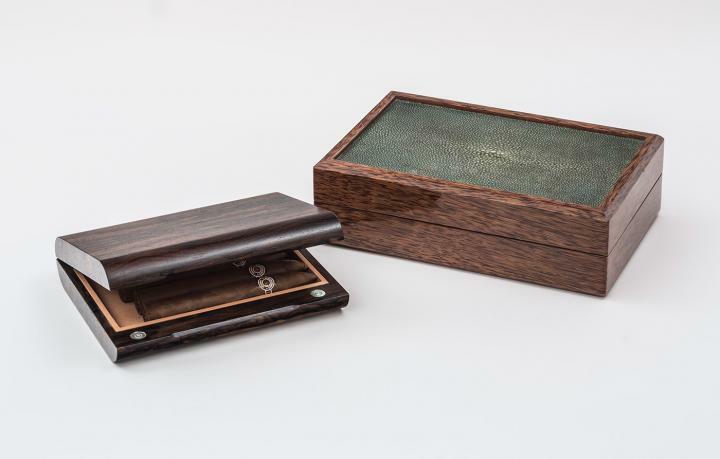 Ziricote travel cigar box (left image). Red Palm with shagreen top (right image). 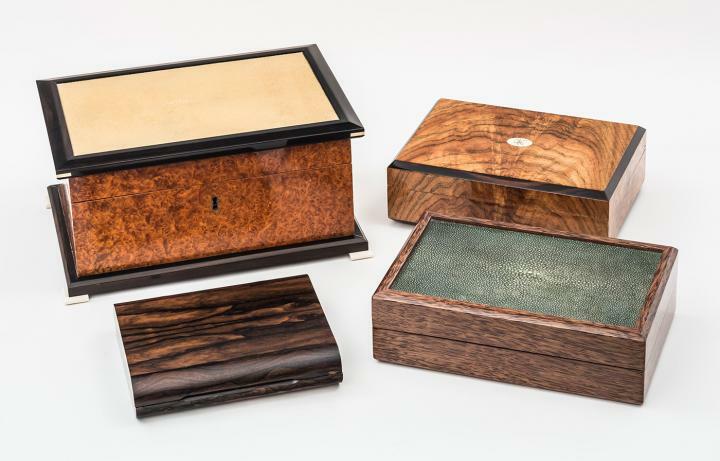 Top Row: Amboyna burl, ebony, with shagreen top (left Image). Cerejeira and ebony with ivory inlay (right image). Bottom Row: Ziricote travel cigar box (left image). Red Palm with shagreen top (right image).